Muddy says: Tamsin and Joceline are massively in demand as celebrity make-up artists at Pinewood, and what’s good enough for Emily Blunt and Nicole Kidman is good enough for me! Fancy having your make-up routine updated by Pinewood make up artists and celeb face fixers Tamsin and Joceline? I’ve used these guys personally for years, not only to get out of a make-up rut of doing the same thing day in day out, but for important business days when I need to look the part, and they’re totally brilliant. Constantly in demand, working on Oscar-winning films and with famous actors and celebrities including Emily Blunt, Nicole Kidman, Dame Judi Dench, Penelope Cruz, Jude Law, Colin Firth and Daniel Craig, they are both instrumental at The Iver Make-up Academy at Pinewood Studios with Tamsin as Vice Principal and Joceline as a tutor. 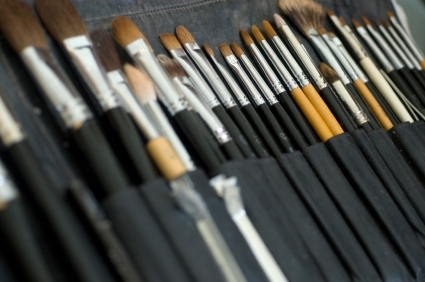 The Bucks Make-up Studio is their way of offering amazing beauty tips and secrets in a private, relaxed location in Wendover, Buckinghamshire – what I liked is that there’s no selling involved, as they prefer to recommend from a range of products and brands. Alongside make-up lesssons, the Bucks Make-up Studio also offers teenage make-up and hen parties.